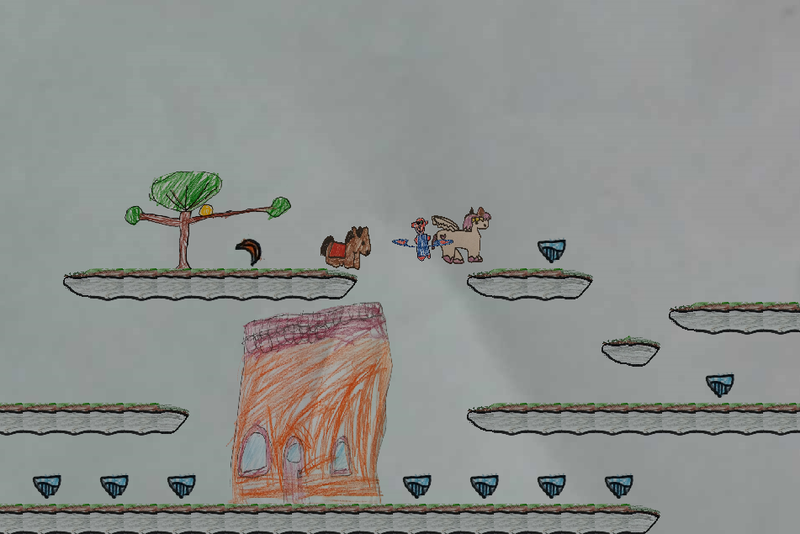 Custom children drawn platformer. 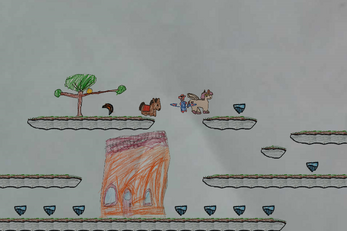 If you would like to order a similar custom made game with graphics that your children draws, contact me. You can pickup/drop banana by pressing down key or S key while standing on ground next to it. The monkeys will follow you if you are holding a banana and will eat the banana if no one is holding it. 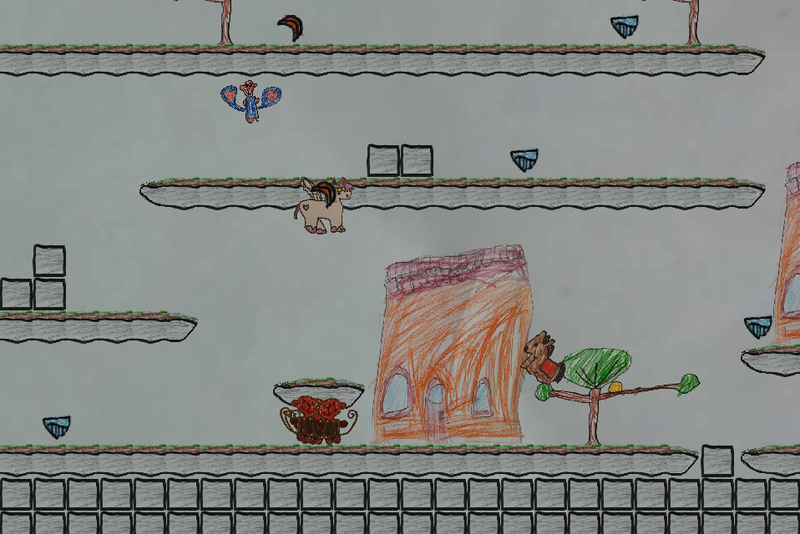 The flying monkey always follows the winged pony. You can collect diamonds, but other than this there is no goal in the game and there is no victory condition (yet). 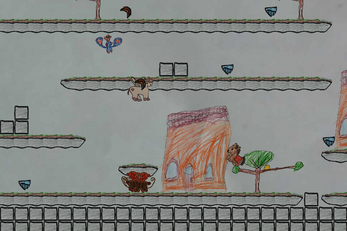 Player 1 can switch between controlling the winged pony or the winged monkey with the SPACE key.